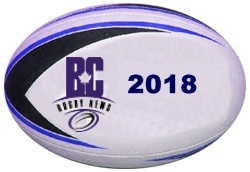 The BC Premier schedule has been released for September by the BC Rugby Union. There are 12 teams in the league this year, up from 11. with the Vancouver Rowing Club aka Rowers deciding to try their hand back up in the Premier. The schedule focuses on more regional play to reduce travel cost, a concern among all teams, so there will be a single round where each team will meet the other 11 opponents and a home and away with regional opponents. There are 16 rounds of matches before the playoffs, a week off for Thanksgiving on October 6th, a week off March 9th for the Canada 7s, a week off April 20th for Easter, and 3 weeks for playoffs finishing with the finals on May 4th. As usual there is the winter break from December 8th to January 5th. although December 8th is considered a make-up weekend if weather cancellations come into play. February 9th, Family Day, is also scheduled as a make-up weekend. Several BC Premier teams last year scheduled MLR exhibition matches in the winter break with the Ravens traveling to Houston as did James Bay and Seattle. The MLR season is rumoured to start late January in 2019 so the 5 week BC Premier winter break in Dec/Jan could prove advantageous for some teams to plan trips south. 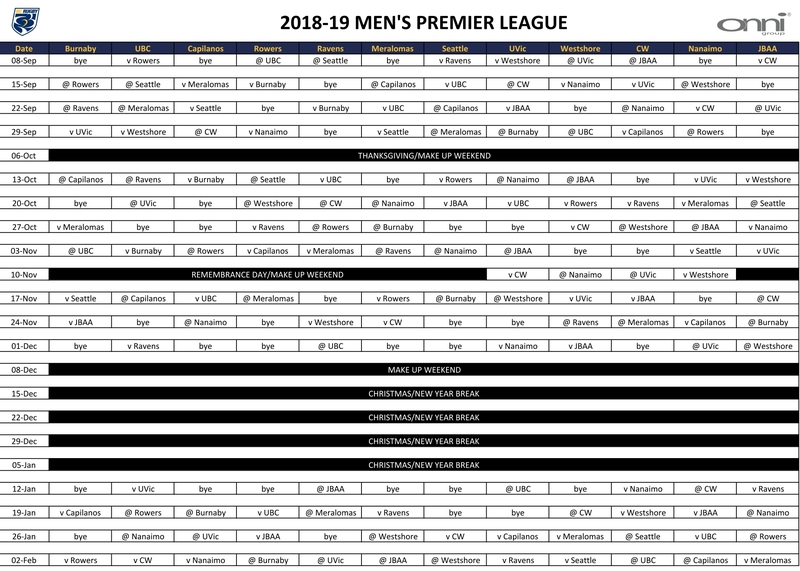 # Note some of the Island v Island matches listed by BCRU in this BC Premier schedule are towards the regional Barnard Cup and not towards the BC Premier. We'll update when BCRU issues new schedule.